1.2 We may collect, use and store your personal data, as described in this Policy and as described when we collect data from you. 1.3 We reserve the right to amend this Personal Data Protection Policy from time-to-time without prior notice. 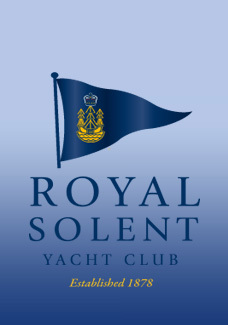 You are advised to check our website http://www.royalsolent.org/ or our Club noticeboard regularly for any amendments (but amendments will not be made retrospectively). 1.4 We will always comply with the applicable national data protection laws, including but not limited to, the EU General Data Protection Regulation (GDPR) 2016/269 when dealing with your personal data. For the purposes of the GDPR the Club will be the “controller” of all personal data we hold about you. E-mail: office@royalsolent.org and Tel: +44 (0)1983 760256 (Office). Name, address(es), telephone numbers, e-mail address(es) of Members. Managing the Race Officer duty roster. Name, address(es), telephone numbers, e-mail address(es) of Event Attendees. Contacting the Event Attendee regarding future occurrences of the same event or similar events of legitimate interest run by the Club. Performing the Club’s contract with the Event Attendee. Consent. We will seek the Event Attendee’s consent to contact them regarding future events with each event entry and the Event Attendee may withdraw their consent at any time by contacting us by telephone, e-mail or letter. Protecting the vital interests of Member’s and their dependants and of Event Attendees. Member’s date of birth / age related information. Marital status and preferred form of address i.e. title. For preparing the Club’s Membership directory and ensuring the correct and preferred form of address. For the purposes of the legitimate interests of the RSYC to maintain diversity data required by Sports Councils. Member’s or Event Attendee’s name, boat name, model and sail number. For the purposes of our legitimate interests in holding races for the benefit of Club Members or Event Attendees. Member’s profession or past profession. Facilitates relations between the Club and Member. This is useful for when we need expertise to help with Club matters, e.g. legal, building construction (roof), Accounting & IT. Photos and videos of Members and/or their boats. Photos and videos of Event Attendees and/or their boats. Consent. We will seek the Member’s consent with each Membership application and the Member may withdraw their consent at any time by contacting us by telephone, e-mail or letter. Consent. We will seek the Event Attendee’s consent with each event entry and the Event Attendee may withdraw their consent at any time by contacting us by telephone, e-mail or letter. For the purposes of our legitimate interests in ensuring that boats on a rally can maintain contact with each other. Creating and managing the Club's printed and online Membership Directory. We will seek the Member’s consent with each Membership application and the Member may withdraw their consent at any time by contacting us by telephone, e-mail or letter to tell us that they no longer wish their details to appear in the Membership Directory. Bank account details of the Member or other person making payment to the Club and transaction records. Managing the Member’s Membership of the Club, the provision of services and events. Record of visitors and Members’ guests in Visitor Book. (Name, boat name, club name). Managing non-Member access to the Club. For the purposes of our legitimate interests in operating the Club and compliance with the Club’s Rules and Byelaws. To provide the necessary response and treatment should a medical emergency arise. To enable the Club to safeguard the health and safety of Members and Event Attendees. This information is destroyed when the event is over. To ensure the food provided by the Club meets an individual’s special dietary needs. 4.1 We will not transfer your personal data outside the European Economic Area (EEA) without your consent. 4.3 Please note, however, that where you are transmitting information to us over the internet this can never be guaranteed to be 100% secure. 5.1 We will never sell your personal data. We will not share your personal data with any third parties without your prior consent (which you are free to withhold) except where we are required to do so by law or as set out in the table above or as set out in paragraph 5.2 below. 5.2 We may pass your personal data to third parties who are service providers, agents and subcontractors to us for the purposes of completing tasks and providing services to you on our behalf, e.g. to print newsletters and send you mailings. However, we disclose only the personal data that is necessary for the third party to deliver the service and we have a contract in place that requires them to keep your information secure and not to use it for their own purposes. 6.1 We will hold your personal data on our systems for as long as you are a Member of the Club and for as long afterwards as is necessary to comply with our legal obligations. We will review your personal data every year to establish whether we are still entitled to process it. If we decide that we are not entitled to do so, we will stop processing your personal data except that we will retain your personal data in an archived form in order to be able to comply with legal obligations. updates, archives or securely deletes information if it goes out of date. Club policy and/or best practice. 6.3 We will securely destroy your personal data once we have used it and no longer need it. Where the Club cannot delete personal data for legal, regulatory or technical reasons the Club will ensure the security and confidentiality of the data is protected and only use it for the specified purpose for which it is kept. unsecure disposal of hard copy records containing personal data in non-confidential waste bins, resulting in loss or theft of that data. A personal data breach also includes circumstances where personal data appears to have been lost, stolen or otherwise potentially exposed, even if it is later determined that personal data was not actually exposed. 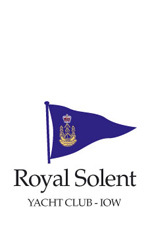 All Royal Solent Yacht Club staff must immediately report all personal data breaches of which they become aware to the Club’s nominated Data Protection Officer irrespective of the perceived severity of the breach. For more details, please address any questions, comments and requests regarding our data processing practices to our Data Protection Officer:- secretary@royalsolent.org.